Anyway, I really loved using letters as outlines that I decided to make two tangles! 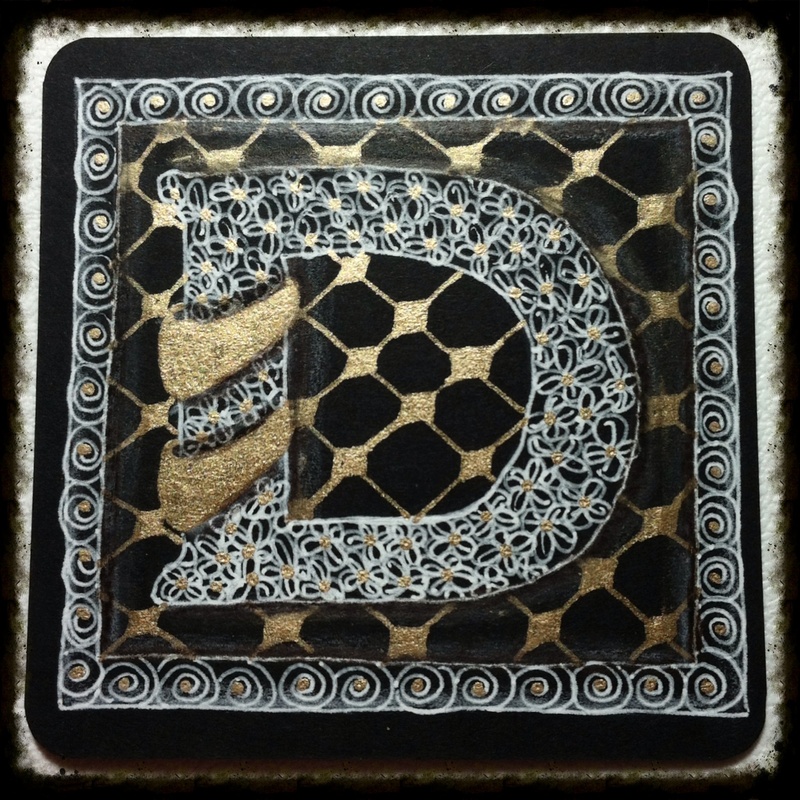 The first tile created was on black paper using opaque Gellyroll pens from Sakura. 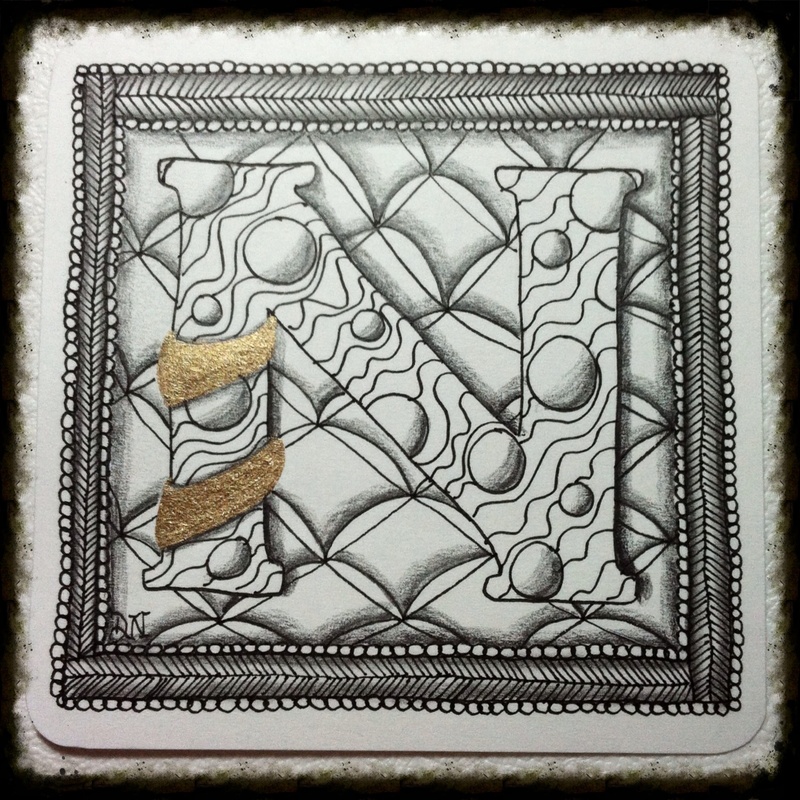 Using white and gold pens together in this tile is what makes this creation POP! The tangles I used for this tile is my new favorite original tangle “Lazy Eights”, and other two favorites “Scoodle” and “Florz”. For some finishing touches, I used my lovely white soapstone purchased from Zentangle.com for shading and added lowlights of brown pastel here and there. On my second tile, I switched gears entirely and used a traditional white tile with black pen. Similar to the first tile, I absolutely love the combination of the black and gold pens! Don’t be too surprised if you see this combination of pens in the future. 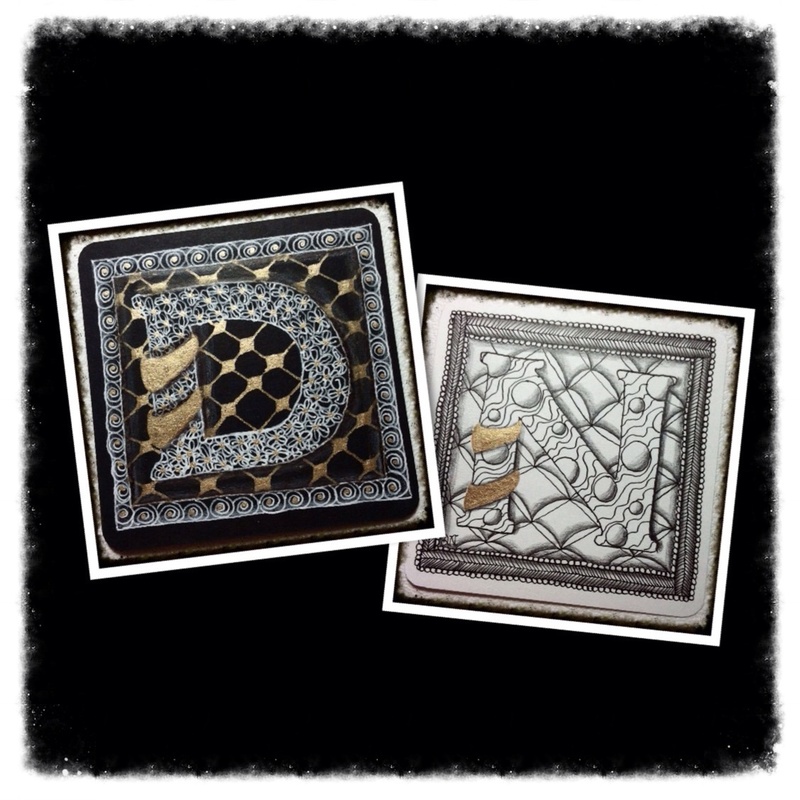 This white tile features “Nipa”, “Chillon” and “Meer” tangle patterns. To finish this tile, I used graphite to shade in select areas to give this tile some dimension. Even though I didn’t learn any new tangles or particular techniques, I did learn to enjoy the process of selecting each letter and deciding which tangle to use in each area. As always, I find using the Zentangle method very relaxng and rewarding. If you have a chance to draw this week, I encourage you to take out your pens and have a little fun and relaxation – you deserve it!